A new Spider-Man film, a deft Korean thriller, a new horror classic and a tale from Beirut, Getintothis’ Chris Leathley reviews the four best films of the month. 2018 was a year in cinema that certainly made its mark. Netflix joined the Hollywood studios in producing and distributing major movies that generated plenty of critical chatter like Annihilation, Roma and The Other Side of the Wind. It also felt like a breakthrough year for those typically under-represented in filmmaking. Lynne Ramsay and Debra Granik provided yet more evidence of their underappreciated talent while Spike Lee and Ryan Coogler made certain that black directors were front and centre during Awards season. Arthouse and Indie cinema was no less impressive, as we were blessed by exceptional releases from Paul Schrader, Paul Thomas Anderson, Lucrecia Martel and Greta Gerwig. 2018 has therefore cast some shadow over 2019’s nascent offerings. Nevertheless, the first quarter of 2019 has refused to be outdone by what has gone before. We’ve already seen The Favourite, Green Book and Can You Ever Forgive Me? win both awards and enjoy popular acclaim with healthy audiences. Add to that the impressionistic joy that is If Beale Street Could Talk. It hasn’t stopped there, however. Subsequent cinematic releases have proven that there are movies being shown this year that will endure far beyond the 2019 calendar. Not all have been flawless but they have all demonstrated enough verve, imagination and tenacity to demand a spot on your watchlist. Korean director Lee Chang-dong has returned to the screen after a long hiatus (his last feature was Poetry in 2010) and we should all be grateful for it. The source of inspiration for Lee Chang-dong’s latest film was two short stories, one by Haruki Murakami (Barn Burning from his collection The Elephant Vanishes) and the other by William Faulkner. In reality though, Burning is only loosely based upon these texts. Rather than being too literal in his adaptation, Lee Chang-dong has navigated a path towards something much more ambivalent and enigmatic. The movie begins innocuously enough with a chance meeting between Jong-Su (played by Yoo Ah-In) and Hae-mi (Jeon Jong-Seo), two twenty-somethings who were previously at school together. Both are now leading listless existences, although Hae-mi retains some ambitions to travel. Indeed, Hae-mi is an enthusiastic believer still in the possibility of aspiration. Jong-Su by contrast, is a burdensome hulk of a man, perplexed by the urban sprawl, constantly (and literally) open-mouthed at what he sees. A tentative, comical and carnal relationship thus begins but is interrupted by Hae-mi’s planned journey abroad. While she is away, Jong-Su cares for Hae-mi’s cat, an animal that is either the master of camouflage or doesn’t actually exist. It is a seemingly incidental comic eccentricity, only later becoming an indication of something awry. On Hae-mi’s return, a third party is unexpectedly inserted into this scenario, named Ben (Steve Yeun). He is slightly older, well-heeled, urbane and possessed of a ‘secret smile’ which may well bode good or ill.
To reveal the plot to come would be to ruin the film but suffice to say, the relationships within this menage-a-trois become an intricate web of dependencies and manipulation. Although on the surface, Burning is every inch the classic thriller, the running time of 148 minutes is indicative of Lee Chang-dong’s more meditative intent. Consequently, Burning morphs into an interrogation of 21st Century South Korea. The fates of the protagonists become of parallel consequence to the depiction of the environment that they reside in. Lee Chang-dong nurses a world of contrasts onto the screen. Burning displays the lives of a gilded elite, Western in accent and fashion, who are a pungent reflection of Korean social hierarchy. Counter-posing this ostentatious wealth are the forgotten thousands, youngsters short on formal qualifications and left behind by the South-East Asian economic miracle. The message of Burning is stark – those that lack worldly goods, clinical misanthropy and ruthless survival instincts, like Jong-Su and Hae-mi, are ripe for exploitation. There are some stylistic features that add further lustre to Burning, making it one of the finest examples of world cinema in recent years. Lee Chang-dong works like a renaissance master in natural light. This is especially evident in one heart-stoppingly gorgeous scene at dusk where Hae-mi dances with a sumptuous mix of eroticism and melancholy to Miles Davis. In creating this piece of cinematic chemistry, Lee Chang-dong establishes a hinge upon which the remainder of the movie rests. The elegantly fluid photography and frequently ingenious framing of shots helps ensure that the audience’s attention is retained in spite of the gentle narrative pacing. Moreover, the sparse menacing score by Mowg (Korean artist Lee Sung-hyun) enhances the emotional heft of the rapidly unravelling story. In the end, Burning is a defiantly original and ambiguous reinvention of well-worn cinematic tropes. Indeed, unlike comparable Hollywood thrillers, Burning will have you seeking out the Blu-ray in order to watch it again and again. Now that the Oscars have passed, this film should be on most movie fan’s radars given that it won the Best Animated Feature gong. It has proven to be a much-needed reinvention of a character that has been a tired mainstay of the Marvel universe. When you consider how many actors have recently portrayed the courageous webslinger (Andrew Garfield, Tobey Maguire and Tom Holland), it is probably indicative of how problematic the Spider-Man storyline has been. Unlike Batman and the Avengers, the Spider-Man franchise, whilst financially successful, has appeared limp and banal by comparison. Step forward Marvel legend Brian Michael Bendis, whose comic series formed the basis for Spider-Man: Into the Spiderverse. Unlike other entries in the Spider-Man canon, this film makes bold decisions, discarding existing comic mythology and producing a progressive, modern movie. Spider Man: Into the Spiderverse presents the Marvel universe as an up-to-date reflection of the world today, resisting the urge to recycle persistent historic trends in the series. Peter Parker may well set events in motion but he does not resolve them. Instead, we are introduced to Miles Morales (Shameik Moore), a Black-Latino teenager who becomes the new Spider-Man due to circumstances beyond his control. What could have been a crass exercise in tokenism actually evolves into a delightfully mature story, as Miles seeks his own purpose and destiny. Miles does this whilst accompanied by various manifestations of other Spider-Men/Women/Toons, all present in Miles’ NYC due to a conspiracy precipitated by the machinations of the Kingpin (played with suitable malevolence by Liev Schreiber). In the midst of this fractured world, Miles also has to decide how to react to the twin influences of his stoic cop dad and his free-spirit uncle. So far, so entertaining, but hardly earth-shattering. The real reason Spider-Man: Into the Spiderverse has aroused so much affection is the textured animation and storyboard design. No one single aesthetic is predominant in the movie. 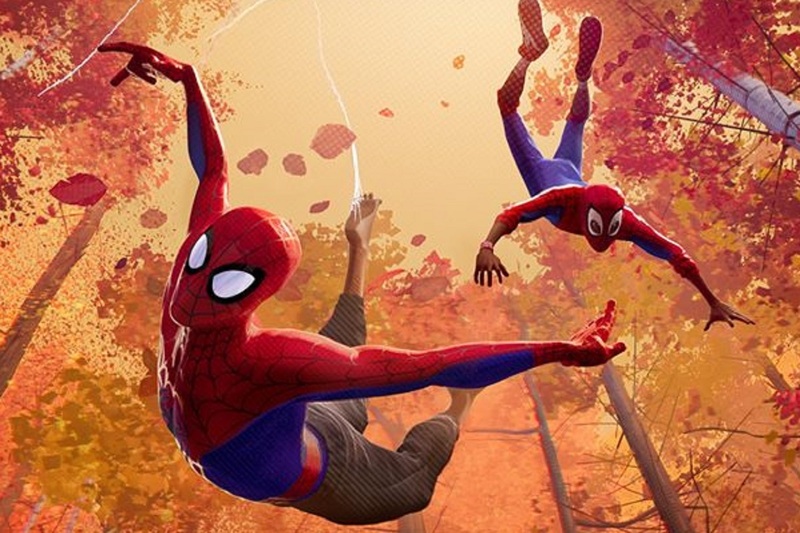 Instead, Spider-Man: Into the Spiderverse draws on an array of graphic palettes, each firmly oriented in comic lore. Everything from Golden Age to Manga to Looney Tunes gets a reference. In this sense, it is probably the most faithful and literate comic adaptation in cinematic history. What’s more remarkable is that Spider-Man: Into the Spiderverse achieves all this with such obvious glee and affection for Marvel legends. The animation mechanics and layout of the film are further illuminated by the adroit, creative editing by Robert Fisher, all the action sequences fairly fizzing effervescently across the screen. As if all this wasn’t enough to merit fulsome praise, the intoxicatingly funky soundtrack (which is curated/constructed by Daniel Pemberton) is certainly a cut above the norm for this genre. 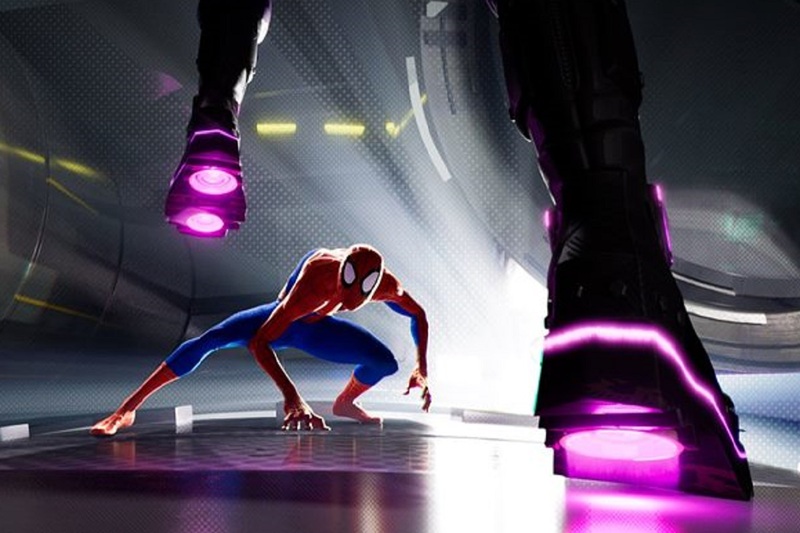 As such, Spider-Man: Into the Spiderverse succeeds in becoming one of the freshest, most dynamic additions to the Marvel cinematic dynasty in years. Capernaum is another welcome addition to the litany of thought-provoking films from contemporary women directors. Not only did it win the Grand Jury prize at Cannes but was also nominated for the Best Foreign Film Oscar in 2019. It’s fair to say that Capernaum enjoys critical pedigree as a result. The first clue as to what to expect of this blistering filmic discourse on life on the edge in Beirut, is the title. Capernaum is translated on screen as ‘chaos’ but it also has biblical connotations. Capernaum was a town that features in The New Testament, where Jesus preached and, essentially lost his faith in the people as they lacked faith in him. Indeed, he is supposed to have cursed the place and Labaki no doubt felt that this was allegorically resonant. If any contemporary city could claim to be ‘cursed’, it’s fair to say that Beirut would be a compelling candidate. Labaki then proceeds to lead us through the labyrinthine streets, full of dilapidated tenements, teeming with people of all nationalities. The poverty on display is endemic, as is the sense of alienation pervading the disparate communities. Food and drink are stolen or hustled whilst money is sporadically made via hackneyed schemes of varying degrees of criminality. The film is largely told via the perspective of Zain, a 12 year old living with a large itinerant family in one of the monstrous blocks of flats. These apartments are so ragged, irregular and decrepit that they may as well have been hewn from a mountainside. This anarchic environment is lent further credibility by the lead actor. Zain Al Rafeea plays his namesake is a Syrian refugee who, at the time of filming, had been resident in Beirut for eight years. There is no pretence here because Zain has lived this life more deeply and profoundly than any actor could possibly imagine. 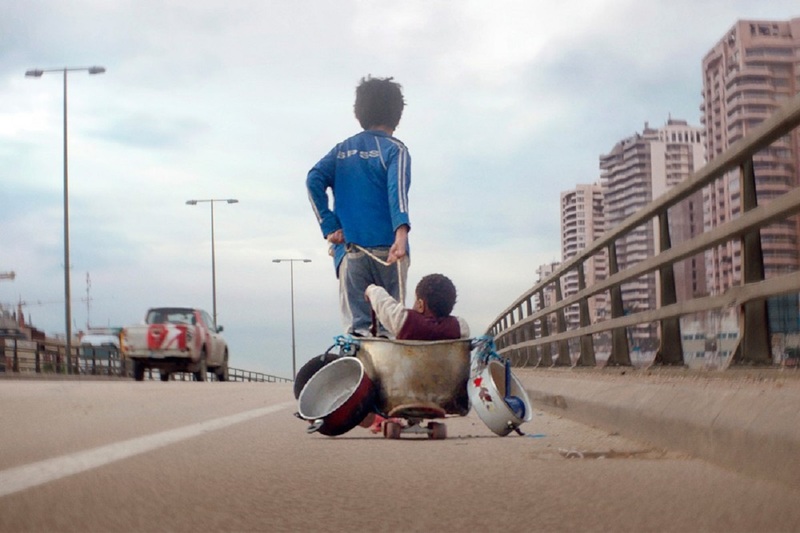 Labaki made a point of utilising a largely non-professional cast for this very reason and it is one of Capernaum’s strongest facets. The core thrust of the movie is to reveal to the viewer how Zain, despite morally numb parents and an extended chaotic collection of siblings, seeks some kind of salvation. Zain eventually finds something close to a safe space with a fellow citizen of the lost, an Ethiopian woman named Rahil. Rahil has an infant son, conceived with a local man who wants nothing to do with either of them. Zain agrees to care for Rahil’s child whilst she desperately tries to secure new migrant documents that will allow her to gain legal residency. As a surrogate parent, Zain does what he can but even with all his wiles and street-savvy, he cannot protect the child forever from the essentially exploitative world around them. Capernaum is related principally via flashbacks, referencing Zain’s many travails and moments of fleeting intimacy. These are punctuated by the (frankly implausible) contrivance of a court case in which Zain has decided to sue his parents for ‘being born’. That which works about Capernaum, works extremely well. For instance, the aerial photography makes abundantly clear how disorientating the mazy highways and by-ways of Beirut are. Similarly, the frenetic camerawork, although a little nauseating at times, is entirely consistent with the restless urban hinterland being depicted. Capernaum’s most expressive success though is indeed its cast. Each character is fully fleshed out, relatable and with a sincere pathos for the fragmentary world that they inhabit. Labaki is also wise enough to use Zain’s profane humour and the quirky carnival camaraderie of supporting figures. Without this, the unrelenting misery may well have been unbearable. Where, in all honesty, the film falls down somewhat is in the narrative device of the court case. It feels like a sentimental addendum to an otherwise gritty depiction of refugee life and the movie’s conclusion suffers similarly. We gain in terms of tension being released but this crude catharsis cheapens that which has gone before. A further weakness is Capernaum’s score which, whilst culturally authentic, is intrusive and strives to tug heart-strings at key moments in a manner which is clumsy and unnecessary. Nevertheless, Capernaum is a credible addition to the 2019 cinematic roster and points to a bright future for Nadine Labaki. Just like Capernaum, Border is a film with critical weight behind it, having secured the Un Certain Regard prize at Cannes. 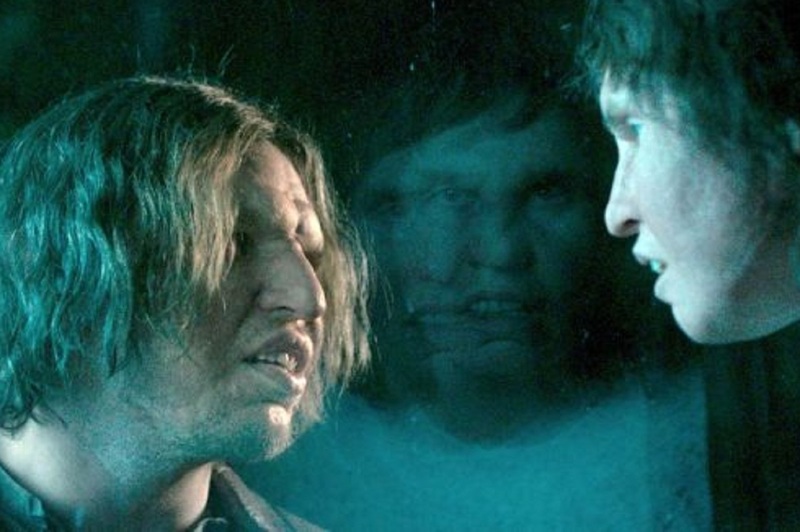 Based on a short story by John Ajvide Lindqvist (who made his name with Let The Right One In), Border derives from the same unsettling supernatural milieu. The film itself could all too easily have become another faintly laughable fantasy feature, going through the motions of weary genre conventions. It does not fall into this trap however. Border centres upon Tina, a customs officer who has facial deformities but enjoys an acute sense of smell. In fact, Tina’s sensory perception is so adept that she is able to detect contraband. As a consequence, she is respected by her colleagues but lives bereft of any kind of nurturing relationships. Even her sometime boyfriend is a feckless lout who remains in Tina’s modest home only to sponge off her. Tina’s solitary life alters irrevocably when she meets Vore, a person whose facial features bear uncanny resemblance to her own. From that point on, Tina’s existence explodes with frightening revelations about who she is, where she comes from and what she might become. Part tense fantasy horror, part tender romance, Border declines every opportunity for easy classification (although it does intelligently re-interpret Scandinavian folklore). Ali Abbasi, the Swedish-Iranian filmmaker behind the camera on Border, is consistently able to wrong-foot the audience, subverting expectations with deft assurance. This is not simply a film that relies upon plot twists for tension and interest. Border’s shifts in tone are more subtle than that, allowing Abbasi to achieve his narrative goals much more successfully. Our surprises or discomfort emanate from our uncertainty over how these psychologically nuanced characters are going to behave next. Complementing this off-kilter screenplay are the eye-catching make-up and prosthetics adopted throughout Border. They were Oscar nominated and rightly so. Their tactile realism ensures that the viewer can lose themselves in the film without distracting limitations in the physical effects. The seamless integration of costume, make-up and performance confirms an eerie naturalism that enhances Border to an exquisite degree. Eva Melander and Eero Milonoff give frank, finely measured performances as the two leads, never less than fully committed to the arc of the film. This is all the more impressive given that, under layers of cosmetics, lesser actors would have complacently used these masks as a crutch for their roles. While some films reinforce existing tastes, others are courageous enough to contradict the zeitgeist. Border detonates many of the existing precedents in fantasy horror, manufacturing something magical from the wreckage.